Minutes walk to the Falls and Niagara river, Casino Niagara, Hard Rock Cafe and an array of clubs and shops. There is a grocery store, beer store, liquor store, restaurants, bars, coffee shops all located within 3 minute drive distance. There is a walking/biking trail the entire length of the upper and lower river, approximately 35km or 25 miles. 5 minute drive. The house was clean, nicely decorated, & functional. We stayed here two nights while visiting the Falls. The Falls/downtown are just a short drive away. We highly recommend this house. this is the spot. Its nothing fancy but it has all that you need for a short trip to Niagara. It's Clean and well organized comes with 3 TV's and a BBQ. But this spot is all about its close proximity to the newer district of Niagara. Falls View and Main. You can see some of the fire works too. We enjoyed our stay in this little cottage that was clean and close to the falls. Just what we needed. This is a perfect place to stay and walk to everything! We have never been to Niagara Falls and had a wonderful time here. The only regret is that we didn't have time to knock next door and meet John personally. We would love to come back and stay longer next time! Really wonderful experience and place to stay! We were three women attending a two day event at the scotia bank conference centre. 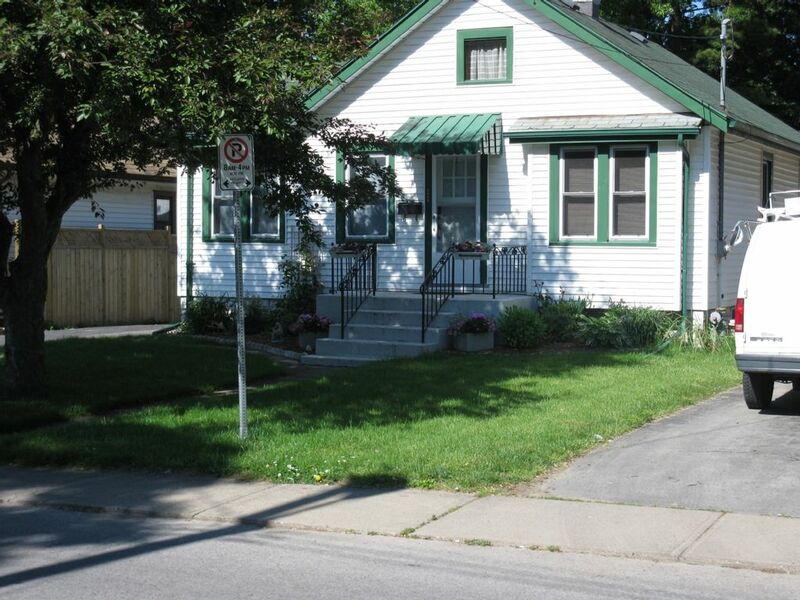 The home is a 10-15 minute walk from the centre. The conference centre also has $10. Parking which we used the last day. The home is cutely updated, perfectly clean and the kitchen is well equipped. Beds were comfortable and the area is very quiet. We walked to the falls by taking the Falls Incline Railway. At $5.00 return it was the best deal in town. You get to it by walking in front of the Hilton Hotel. One of the days we drove to Niagara-On-The-Lake, had a lovely buffet breakfast at the “cannery” and then did tasting and purchasing at 4 of the wineries. The hostess gave us suggestions as there are 75 wineries in the area. The “Two Sisters” is a must see- the grounds and architecture are simply amazing. Another good one is “small Talk vineyards” as the tastings are much cheaper and they have some very good wine which we purchased. We had a wonderful time in the area and simply ran out of time. It was so nice to be able to return to this lovely home rather than having to share beds in a hotel room. Would definitely return.